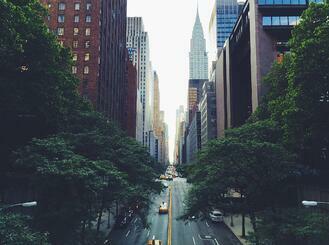 Searching for neurofeedback specialist in NYC? Meet Alison Pepper, LCSW, newest team member of Neurofeedback Training Co. As certified NeurOptimal® trainer and licensed therapist, she has over 5 years of professional experience in the field, is bilingual and specializes in integrative approach to wellness. Since 2011 NYC therapist, Alison Pepper, LCSW, has worked with children, families, and adults to assess and create wellness strategies for her clients. In 2017 she became a certified NeurOptimal® Neurofeedback Trainer at Neurofeedback Training Co. and now see clients at NY office. In her new role, she coaches clients in their journeys to wellness. 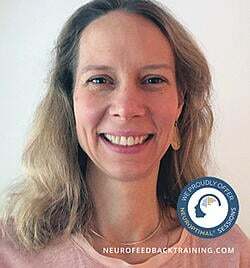 Trained as a psychotherapist, she uses her expert listening skills as a neurofeedback trainer to help clients assess what is not working for them, she then helps clarify individual clients' goals, explaining how neurofeedback works, what to expect during sessions, and helps them track the changes. She empowers clients to know when they have reached their goals through building self-awareness and using our tracking tools, so that they are confident about when to pause or stop their neurofeedback sessions. Alison understands that wellness is about looking at the individual as a whole, not just separate parts, and one of her strengths is advocating for the wellbeing of the entire person and educating clients so they can understand how to reach their goals they may need to expand their ideas of what will support them. She works with clients on the range of wellness tools that will help them reach their goals. She is a certified meditation instructor as well, and when appropriate, will help clients integrate mindfulness into their wellness routine. She also makes referrals when needed to other wellness providers, such as a holistic doctor, a personal trainer, or a nutritionist. A passion of Ms. Pepper is working with kids and families. She has expertise in family systems: what makes them healthy and harmonious, and the causes and conditions for them to break down. She brings this expertise to coaching families who do neurofeedback and educates them on how to optimize their wellness achievements through leveraging the power of the family hierarchy. As example, when we first began discussions about her joining the team, I asked her about neurofeedback for children and how to talk to parents about its benefits. Before being told that at our center we see the best results from kids doing neurofeedback if a parent also trains, she offered up the suggestion that we should encourage parents to train as well as their kids! She looks at the whole system and orients her suggestions to parents with the expertise of knowing what interventions will create the most benefit for everyone. She knows parents who are less stressed and more emotionally resourced will help everyone in the family. Alison also brings all her skills as a therapist helping clients optimizing wellness training to her new role as our Certified NeurOptimal® Trainer for East Coast region rentals. 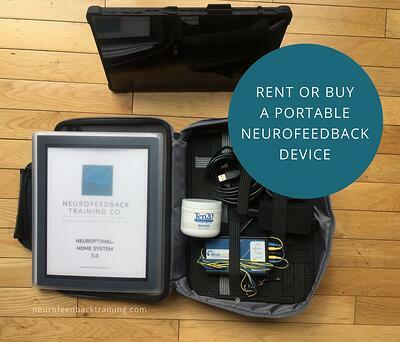 Alison's role as a mind-fitness coach is also to help rental clients pick the right training package for their needs, learn the importance of identifying and tracking goals and, of course, making sure they use the neurofeedback equipment as intended. She offers wellness check-in calls to answer any questions and to help clients decide when they have optimized their mind fitness training and are ready to return the system. Since many of our renters are families, we are excited she can bring her expertise with families into coaching renters. Her goal is for families to set trackable achievements, have a realistic training schedule and, if possible, make sure that one or both parents are also training. If you live in any of these East-Coast states, Alison will be your NeurOptimal® rental coach. Do you have questions? Are you interested in renting a wellness device? Schedule with Alison free 15 minute consultation to discuss anything that comes to your mind. Questions regarding your training goals, how the process works, details about NeurOptimal's technology, Alison is here to answer. As a NYC therapist she sees children, tweens, teens, emerging adults, adults, and families who may be adjusting to life changes or specific emotional issues. Alison uses an integrative approach to working with her clients and first assesses their individual needs before deciding on what techniques to use to help them reach their goals. She integrates Western approaches including play therapy and art therapy for kids, mindfulness-based CBT and trauma informed work with adults, and internal family systems with families. The Eastern approaches she uses are mindfulness, Buddhist meditation and yoga. Her goal is to create a holistic plan and to utilize modalities that matches the needs and orientation of her clients. Visit us at 32 Union Square East, Suite 1017 (East side of Union Square in Manhattan). At the NYC Neurofeedback wellness center office we provide both neurofeedback and coaching sessions. Read more about Alison on the Yelp, or on Psychology Today! We are happy to announce, that the FDA approved NeurOptimal neurofeedback as a safe, non-invasive brain training and General Wellness Device. With a multitude of uses, such as to help you manage sleep, for increasing your mental acuity and focus, to help you de-stress and increase calm and relaxation. Schedule your free consultation today, and start living your life in full!